Connect with your friends using Mailbird and Mailbird Pro! We love staying connected and building community around Mailbird, and because of this we decided that it would be perfect to share the love of Mailbird.  You can now get the most elusive email productivity management tool ever, Mailbird Pro, for 25% off or even Free for a year. How to get your hands on this special reward for you and your friends? Simple. Once you download Mailbird from our website you can go to the Mailbird menu at the top left of the window and select ‘Invite Friends’. Once you select ‘Invite Friends’, a special window will pop up where you can simply invite friends via email to try Mailbird. 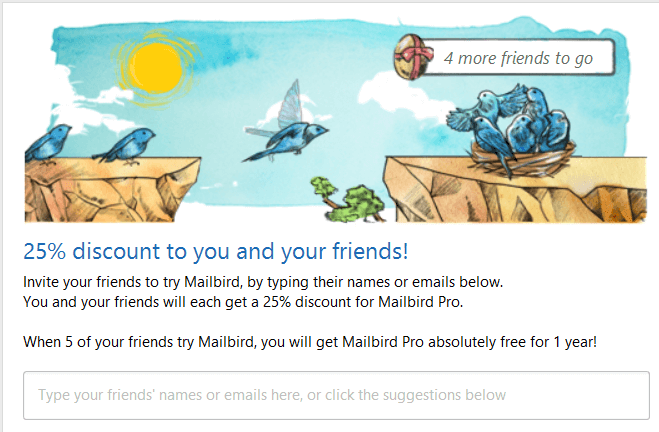 If 1-4 of your friends start using Mailbird, you both get 25% off Mailbird Pro. 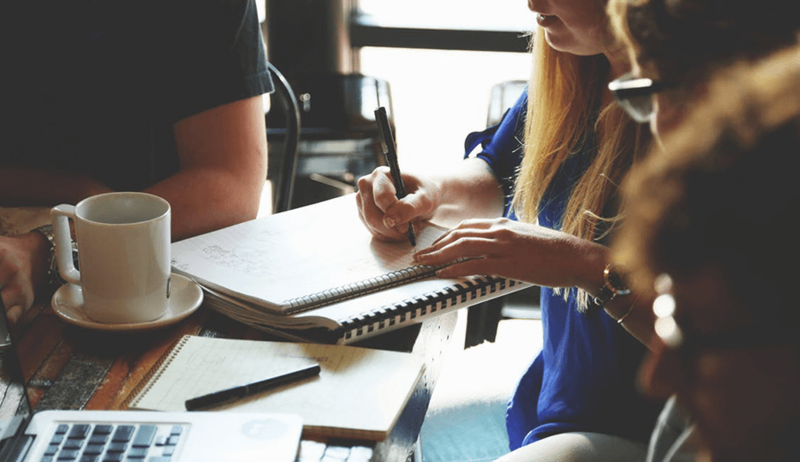 Some of you are super community builders and networkers, and want yourself, all your friends, family and colleagues to experience that in-control feeling of Inbox Zero – simply eliminating all the stress that comes with email. 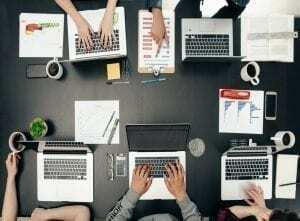 Many of you are passionate about really getting work done. You are a productivity seeker. 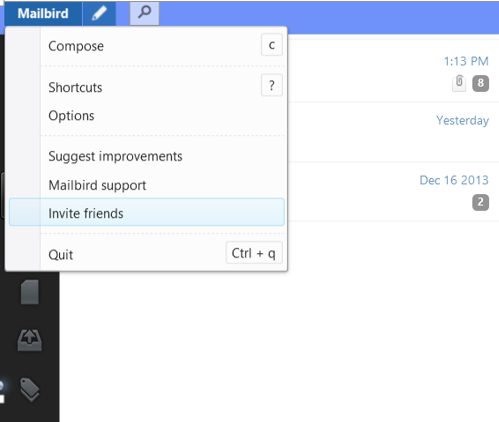 If you want the best email client for Windows, then get it for Free when 5+ of your friends use Mailbird. They are just an invite away, and they also get a sweet 25% off Mailbird Pro. What are you waiting for? Do it. Invite your friends to the innovative platform for email on Windows, Mailbird proudly brings productivity back into your life with a creative and secure email experience. 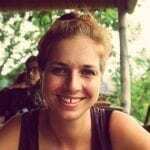 6 thoughts on "Connect with your friends using Mailbird and Mailbird Pro!" You know that the french version of the text of the Invite box makes no sense, right? Translated by google translate? I offered my help through the support page to fix it, never got a reply. Will do, I’ll send the text which needs correction along with the right translation. I think the translaters skipped a corner there as the text was litterally translated and makes no sense in the sentence, that’s why it looks like it was translated by google translate or such. Man that took the wind out of my sails…LOL…Located on the front page & then on the pricing page, the statement of getting Mailbird Pro just had by inviting 5+ friends with no more elaboration on it. So I thought, “WOW, I can get PRO just by inviting a tiny fraction of my contacts!” Then I saw the article here & realized they would have to take Mailbird for a spin to use as their email client first. Oh well, I still enjoy Mailbird Lite! Mailbird, in my opinion, really puts the other resource hog email clients to shame, especially when one considers the end-user doesn’t need to download enormous amounts of add-ons & plugins to get the same functionality. Hi everyone! Just wanted to let you guys know that we’ve updated the Invite Friends deal so its much easier to extend your Pro subscription for FREE.